Turkish drama Phi centres on psychologist Can Manay (played by Ozan Güven), a serial womaniser whose behaviour becomes increasingly erratic when he falls in love with Duru (Serenay Sarikaya). As Manay gets closer to her, Duru begins to question her life with boyfriend Deniz (Mehmet Günsür) as a cast of characters – including Özge (Berrak Tüzünataç), a journalist working on an exposé of the celebrity psychologist – find their lives changed forever by Manay’s crazed pursuit of love. Cast members Sarikaya, Gunsur and Tüzünataç tell DQ about the appeal of starring in Phi, which is based on a trilogy of novels by Azra Kohen. They reveal how they used the original books in their preparation for the series and the challenge of bringing these well-known characters to the small screen. The trio also discuss the ground-breaking nature of the series, which is the first original drama to air on VoD platform Puhu TV. Phi is produced by Ay Yapim and distributed by Eccho Rights. Turkish drama Bu Şehir Arkandan Gelecek (Heart of the City), which runs to more than 70 episodes, tells the story of Ali, a sailor brought up on a cargo ship after he witnessed his mother’s murder. Twenty years later, he is still terrified to confront his roots in Istanbul until he encounters enchanting ballet dancer Derin. Speaking to DQ, stars Kerem Bursin (Ali) and Leyla Lydia Tugutlu (Derin) discuss their characters and the themes of the series. They also reveal how they prepared for the show – including Bursin spending six months in LA learning to box and Tugutlu taking up dancing lessons – and the challenges of filming the equivalent of a movie a week. Heart of the City is produced by Ay Yapim for ATV and distributed by Eccho Rights. It has been a miserable year for Turkey – yet despite a military coup, suicide bombings and the fallout from the Syrian Civil War, the country has somehow kept on pumping out great TV drama in 2016. 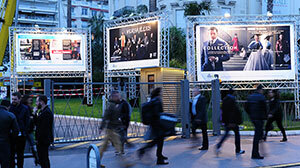 A lot of this creativity will be on show at the Mipcom market in Cannes from October 17. 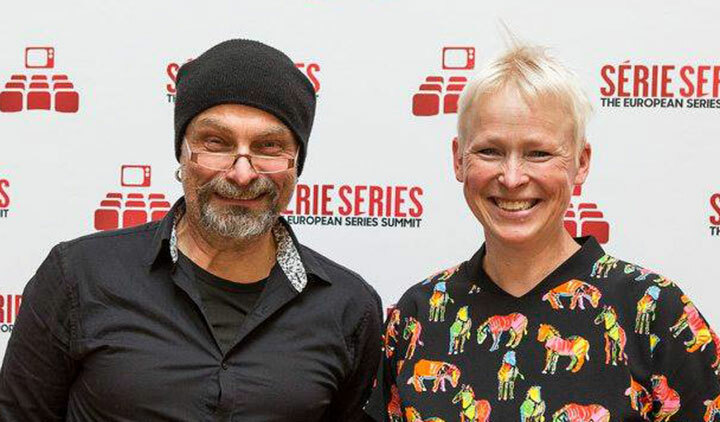 For example, Sweden-based distributor Eccho Rights has just announced an exclusive deal that will see it bring a slate of shows from one of Turkey’s leading drama producers, Ay Yapim, which is behind Ezel, Fatmagul, Forbidden Love, Karadayi, The End and more. One of the most high-profile titles is Wings of Love (Bana Sevmeyi Anlat), which is achieving very strong ratings on Fox Turkey. The series premiered on August 22 and is currently number one on Friday nights. Also in the line-up is Brave and Beautiful (Cesur ve Güzel), set to premiere on Star TV later on this fall, with Turkish megastars Kıvanç Tatlıtuğ and Tuba Büyüküstün in the lead roles. Another title in Eccho’s line-up is Insider (İçerde), which is loosely based on US movie The Departed. It debuted on Show TV on September 19 and proved a big ratings hit, also becoming the top-rated Turkish drama on IMDb with a score of 9.4. Gaining an audience share of almost 12%, Insider beat everything except for Orphan Flowers (Kirgin Cicekler), a popular ATV series that was launched in 2015 to great acclaim. With two more winter launches from Ay Yapim on the slate, Fredrik af Malmborg, MD of Eccho Rights, is understandably in bullish mood. Ay Yapim’s success on the international market isn’t just limited to completed show sales. It has also had success getting some of its formats away. A good example is The End, which was piloted in the US last year. More recently, the show has been greenlit for adaptation in four markets including Russia, Germany, the Netherlands and Spain. The latter version will be produced by Globomedia for broadcast on Telecinco in early 2017. Eccho has also had notable recent successes with dramas from outside the Ay Yapim stable. For example, it recently sold Broken Pieces (Paramparça) to Swedish public broadcaster SVT. An Endemol Shine Turkey production for Star TV, Broken Pieces follows other Turkish dramas like The End onto SVT. Eccho isn’t the only company to be heading for Cannes with Turkish drama in tow. Fox Networks Group is hosting an event on October 18 to highlight its Turkish drama slate, which runs to more than 700 hours. Among key titles is Pastel Film Production’s That is My Life (O Hayat Benim), which has already been sold to broadcasters in Latin America, Eastern Europe and Asia. As in many markets, September to October is an important time of year in terms of new title launches on domestic TV. Aside from the aforementioned Insider, shows attracting attention include Black White (Siyah Beyaz) and You Are My Country (Vatanim Sensin). The latter, produced by O3 Medya, is a big-budget period drama set just after the First World War. It tells the story of an army officer who is torn between loyalty to his country and the welfare of his family. Already sold to Croatia (a big fan of Turkish drama), the show is expected to prove popular with Mipcom buyers. In terms of trends in Turkish drama this year, it seems as though some Western influences are creeping in. While Turkish viewers still tend to favour action, romance and historical drama, one of the most intriguing shows of the year was psychological thriller 46 Yok Olan, which aired on Star TV earlier this year. 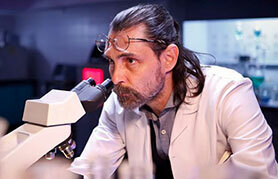 The series focuses on a professor of molecular biology who is trying to find a cure for his comatose sister. After trying a new potion on himself first, he releases an alter-ego that he cannot control and that seeks revenge for his father’s death and his sister’s illness. While 46 Yok Olan didn’t draw huge ratings for Star, it did attract a fair amount of critical acclaim. So it will be interesting to see if it appeals to international buyers. The show is being marketed by Global Agency under the simplified title 46. While a lot of attention in the next few weeks will be focused on Turkish drama exports, another story of significance is that SVoD platform Netflix has just launched a dedicated service in Turkey, with a fully localised user interface and local programming. Signalling the seriousness of its ambition for the market, Netflix has also signed a deal with mobile provider Vodafone and is already working with Turkish TV manufacturer Vestel. Although it is too early to tell what kind of local uptake the service will get, it could provide a useful revenue source for creators of Turkish drama. Shows that will appear on Netflix in Turkey include Leyla and Mecnun, Suskunlar (Game of Silence), Karadayı, Ezel, Kurt Seyit & Şura, The Revival: Ertuğrul and Filinta. Now that MipTV 2016 has come to an end, DQ editor Michael Pickard looks back on a week where drama continued to reign supreme – and Netflix was again among the major talking points. 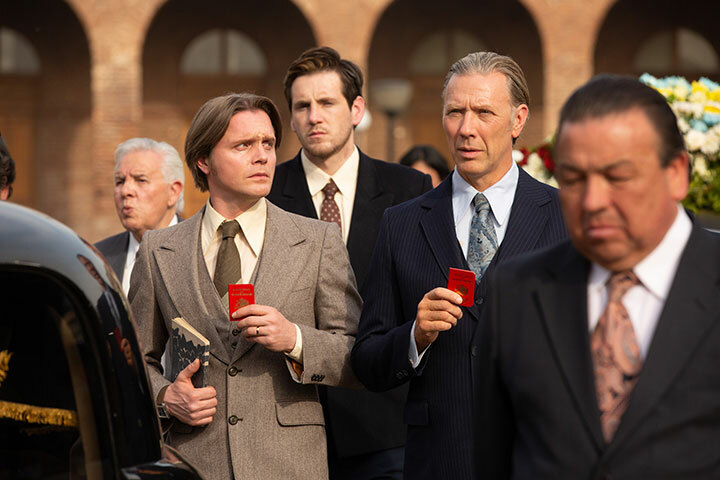 With its place in the events calendar so close to other major markets, buyers and distributors have become used to absence of the US studio giants from MipTV each spring. Yet this year, in what perhaps is representative of the international television industry at large and the growth of the global drama market in particular, it didn’t seem to matter. The sheer amount of content on display in Cannes – from the traditional posters and billboards lining La Croisette to the inaugural Mip Drama Screenings that presented 12 series from around the world – showcased the current strength of international storytelling that is rivalling US drama. 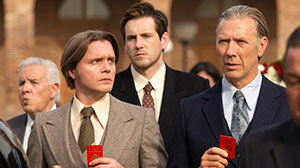 Distributors selected for the screenings certainly felt the benefit, with several reporting a surge in interest in their shows following their presentations in front of more than 350 acquisitions executives on Sunday – none more so than Zodiak Rights, which is selling Belgian drama Public Enemy, the show that scooped the event’s top prize. But despite the largely absent US studios, those who hoped Netflix might also take the week off were sorely disappointed when the SVoD platform flexed its financial muscles once again. On Monday, it announced a deal that saw it pick up global rights outside the UK and Ireland for ITV drama Marcella, the first English-language series from The Bridge creator Hans Rosenfeldt. It’s clear the scale of Netflix’s ambitions and depth of its pockets no longer surprise any of the executives found taking back-to-back meetings inside the Palais. Now that the service has established itself as a major player and rolled out in more than 190 countries, said execs are likely to be heard discussing the next challenge facing the industry – how to fight back against Netflix’s dominance. For distributors, the question is whether global rights deals with the SVoD giant and its online competitors are preferable to piecing together deals with broadcasters on a territory-by-territory basis. We’re also now seeing the emergence of local SVoD platforms targeting original content in a bid to win subscriptions and eyeballs from Netflix. During the same drama finance panel, About Premium Content’s Emmanuelle Guilbart revealed the distributor is working on a new drama with Swedish broadcaster SVT, with finance from a domestic SVoD player. “They are becoming real commissioners with real money,” she said. Netflix’s influence, and that of its competitors, in the distribution of content around the world also posed an interesting question during the scripted formats panel that I hosted on Tuesday: If original series (in most cases the best versions) are available worldwide, what is the future of scripted formats? It was clear from the presentations given by Eccho Rights, New Media Vision and Comarex that local remakes of international hits are still immensely popular and profitable across Latin America, the Middle East, Africa and Asia, while New Media Vision’s ambitions to act as a “gateway to the US” is evidence that, despite the drop in adaptations ordered by the big networks this pilot season, the US is still keen on non-English-language formats. NBC, for example, is launching Game of Silence, based on Turkish series Suskunlar, on April 12. One deal confirmed this week was for The Department of Time, which was announced as the first Spanish drama to be adapted in China. The eponymous department is a secret government institution tasked with guarding the ‘gates of time’ and preventing intruders from travelling to the past to change the course of history for their own benefit. The series was originally produced by Cliffhanger and Onza Entertainment for TVE in Spain and the format has been sold by Onza Distribution to China’s Guan Yue International. 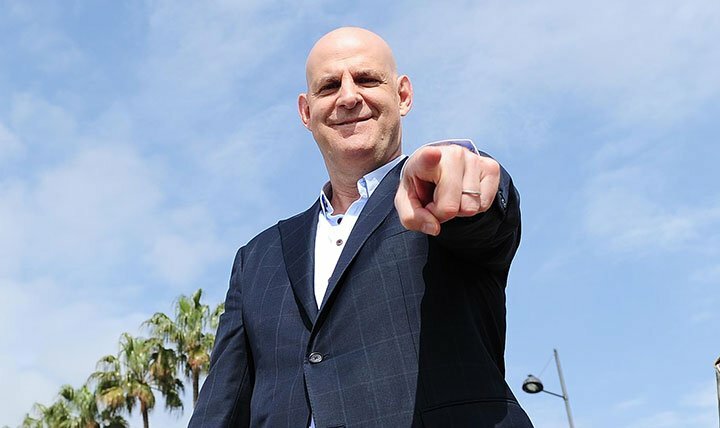 Circling back to SVoD, one executive told DQ here in Cannes that Netflix, Amazon and the large number of increasingly confident local SVoD platforms could, in fact, turn to scripted formats in an effort to boost their original production slates. Meanwhile, the digital revolution is also building in the form of shortform series that are throwing traditional broadcasting structures to the wind. That series with no set running time or episode order are being produced across publishing sites such as YouTube and Vimeo is nothing new – with the latter’s Sam Toles describing YouTube as WalMart compared with Vimeo’s Bloomingdales during a web series panel on Wednesday. But the session, which also included executives from New Form Digital in the US and France’s Taronja Prod, posed a pertinent question – if a YouTube channel that has 30 million hits still isn’t in the mainstream, how do you measure success? Canadian prodco Shaftesbury might have the answer. One of its original digital series, Carmilla, which is available on the KindaTV YouTube channel, will this month be shopped to US networks as a 13-hour drama on the back of its success online – three seasons and 41 million views. Showrunner Sandra Chwialkowska (Lost Girl) is attached to the series, which is based on J Sheridan Le Fanu’s novel about a young woman’s attraction to a female vampire. With ready-made brands known to millions of fans, who participate in fan art, fiction, online debates and more, web series are primed to serve as ready-made pilots for traditional TV networks looking for their next big hit. Just don’t tell Netflix. A large proportion of the international TV industry is attending the MipTV market in Cannes this week, buying and selling shows or doing scripted format deals. So it seems appropriate that the week’s top story should concern Fox US drama House, which has proved popular with broadcasters around the world over the years. Usually sold in its completed form, this week has seen Fox license the Sherlock-esque medical drama to Non-Stop Production, which is remaking it for in Russia. 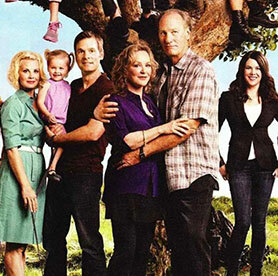 Sticking with scripted formats, the drama department of Italian public broadcaster Rai, Rai Fiction, has ordered a second season of its remake of NBCUniversal International’s Parenthood. The 26×60’ second run, produced by Cattleya, will air on Rai Uno later in 2016. The US original ran for six seasons on NBC between 2010 to 2015, so there is scope for Rai’s version to run and run. Another big story out of the US is HBO’s decision to order a TV adaptation of Gillian Flynn’s best-selling debut novel Sharp Objects. The eight-episode series will star Amy Adams as a newspaper journalist trying to sort out her life following years of self-harm that landed her in a psychiatric hospital. However, her plan for a new life is derailed when she returns to her hometown and gets caught up in investigating the mysterious murder of two young girls. The pilot for the TV adaptation is being written by Marti Noxon, who will also be showrunner. Noxon, the co-creator of Lifetime’s critically acclaimed drama UnREAL, will then share writing responsibilities on the series with Flynn, who previously adapted her own novel Gone Girl as a feature film. 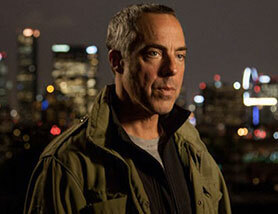 Jean-Marc Vallée (Wild) will direct. Meanwhile, the SVoD giants are continuing their aggressive expansion around the world, part of which involves commissioning original local-language series. This week, it’s Netflix’s turn to grab the headlines – with its first original series from Spain. Set in the 1920s, the show will look at the lives of four women who work as switchboard operators for the state-owned phone company’s central headquarters in Madrid. The series comes from the same stable that created international Spanish-language hits Velvet and Gran Hotel. 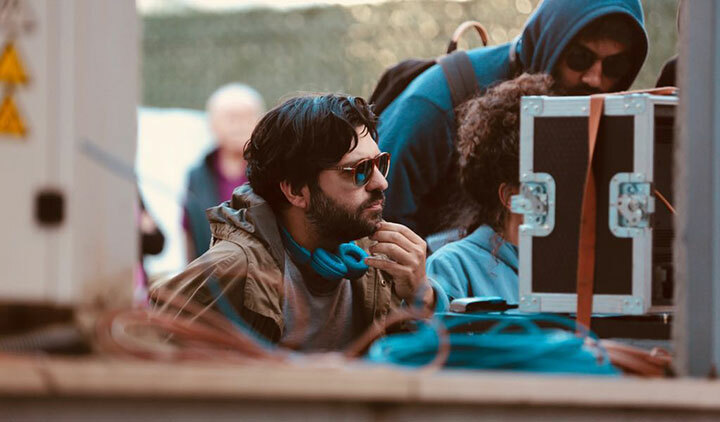 This includes Roman Campos and Teresa Fernandez-Valdes from Bambú Producciones, director Carlos Sedes and writer Gema Neira, who often works with Campos. We’ve talked a lot in previous columns about the trend towards movie adaptations, book adaptations and reboots in US drama – all of which are about providing in-built awareness in new projects. But there’s another trend that is creeping into the business – namely the spin-off. We’ve seen examples in cable with Better Call Saul (from Breaking Bad) and Fear The Walking Dead (from The Walking Dead). And Disney-ABC has created numerous movies and TV series rooted in its Marvel universe. NBC is the latest to get in on the act. First came Chicago Justice, a spin-off from Chicago PD, and now NBC has announced plans for a spin-off from The Blacklist. There aren’t many details as yet but it’s an interesting new development that promises to further narrow the number of slots available to original ideas. Finally, Turkey was country of honour at Mipcom 2015, an event that focused heavily the country’s prolific drama output, and the country doesn’t seem to have lost any momentum coming into MipTV 2016. Aside from The End deal referred to above, The Fox Turkey drama That Is My Life has also been selling well – with ANTV (Hong Kong), Kanal 5 (Bulgaria), Telemundo (Hispanic US), Moby Group (Middle East), Puls TV (Poland), Kanal D (Romania) and MTG (Russia) all acquiring the Pastel Film-produced show. Another Fox show, The Intersection, also has a high profile at the market as part of the Endemol Shine International catalogue. 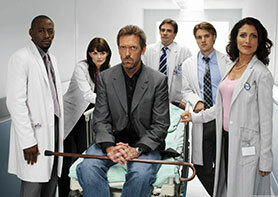 Coinciding with ESI’s marketing activity in Cannes, Fox also announced a second season for the series. 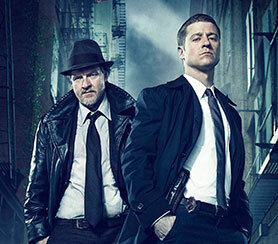 In September 2014, Fox in the US introduced a new scripted series set against the backdrop of DC Comics’ Batman mythology. 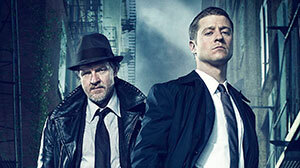 Gotham takes the death of Bruce Wayne (aka Batman)’s parents as its starting point and effectively positions the show as a Batman prequel, with detective James Gordon (later Commissioner Gordon) as its central character and introducing Bruce/Batman as a teenage boy (looked after by a youthful version of manservant Alfred). The show had a strong start, with the very first episode generating 8.21 million viewers at launch, rising to 14.15 million once the time-shifted audience was factored in. 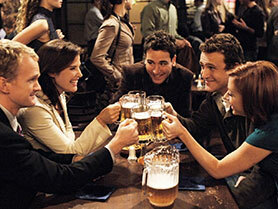 Season one stayed solid until around episode 18, whereupon the live audience dropped to around the 4.5 million mark. This might have been low enough to justify cancellation, but with time-shifted viewing taking the show up to around 7-7.5 million, Fox decided there was enough in the show to give it a second run. The second season started in September 2015 and drew roughly the same numbers as the end of the first. There has been some further slippage, but the show has settled into a relatively stable pattern. After 14 episodes of a 22-episode run, it is attracting a loyal audience of 4-4.5 million (6.5-7 million after adding in time-shifted viewing). The headline ratings don’t especially justify Fox’s confidence in the show. Airing on Monday nights at 20.00, it is outgunned by The Voice, The Bachelor and Supergirl. However, it does perform strongly among men aged 18 to 49. And it has sold pretty well internationally, with clients including Channel 5 UK, CTV Canada, TVNZ New Zealand and TF1 France (though this is of more significance to Warner Bros, owner of DC Comics, which distributes the show). Possibly, Fox is hoping that young Bruce’s gradual transformation into the formidable Batman will energise future seasons. Or maybe it is hoping all the current background Batman noise provided by the forthcoming Batman vs Superman movie will help boost Gotham’s performance. Either way, Fox is clearly still committed to the show for the foreseeable future. 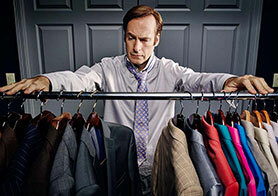 An easier call in terms of renewal is AMC’s Better Call Saul, which has just been greenlit for a third season. The Breaking Bad prequel is currently five episodes into its 10-part second season and averaging 2.2 million (same-day ratings). That’s a solid performance for AMC, supported by the fact it is also getting good reviews from critics and audiences. The current IMDb rating of 8.8 puts it at the upper end of new drama. In another of the week’s standout stories, Italian crime drama Gomorrah has been picked up by AMC’s sister channel SundanceTV for broadcast in the US. 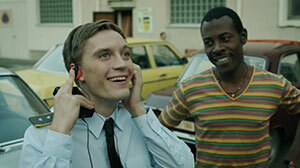 Sundance previously acquired the German drama Deutschland 83 – making it a pioneer in bringing foreign-language drama to the US. The first season of Gomorrah was a surprise hit around the world and the second is due to be launched at MipTV by German distributor Beta Film. Commenting on the pickup, Joel Stillerman, president of original programming and development for AMC and SundanceTV, said his channel “prides itself on presenting distinctive stories from unique points of view, and Gomorrah’s gritty exploration of the Comorra mob families in Naples is no exception.” Other channels to pick up Gomorrah include Sky Germany, HBO Nordic and HBO Latin America. Last week, much of this column was dedicated to the excellent performance of the BBC’s 2016 drama output. Since then, Happy Valley season two has come to a conclusion with super-strong ratings of 7.5 million (a figure that will rise once time-shifted viewing has been factored in). On the whole, season two was very good, though not quite as explosive or gripping as season one. The key story arc, which centres on Catherine Cawood, Tommy Lee Royce and Ryan Cawood, seemed to be put on hold for another day, while the resolution of the main criminal case (involving the murders of four women) was relatively understated. There was also a sense that some strands didn’t fully develop (Ann Gallagher’s alcoholism and the trafficking of Eastern European women by a gang, involving another murder). Nevertheless, Happy Valley is still superior to most things on TV and the audience is now clamouring for a third season. Writer Sally Wainwright has said she would like to pen a third instalment, though didn’t put a timeframe on it. Elsewhere, Turkish drama continues to be in strong demand around the world. This week Eccho Rights picked up the Aka Film drama Black Heart (Oyunbozan) for global distribution. 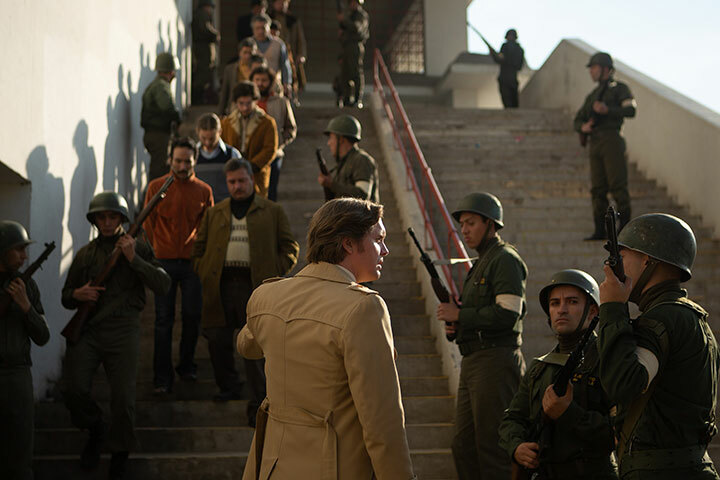 The series, which will debut in Turkey at the start of April on Show TV, tells the story of a brother seeking justice for the murder of his journalist sister who exposed a powerful media tycoon as a gangster. To get his revenge, the brother enlists an orphaned girl who needs his help in order to save her dying sister. Sometimes the search for hot new dramas can distract you from shows that have been quietly going about their business for years. There’s a good case in point in the UK right now, where the 12th season of BBC1’s comedy-drama New Tricks is currently out-rating more sophisticated BBC fare such as Ripper Street and Partners in Crime, the lavish new Agatha Christie adaptation. Now up to the 100-episode mark, Wall to Wall-produced New Tricks is centred on a team of retired police officers who are recruited to reinvestigate unsolved crimes. The new season kicked off in the week commencing August 3 with ratings of 6.5 million (live+7 days) and pretty much held its ratings the following week. Ripper Street, by comparison, attracted just under five million for its season three debut but had fallen away quite dramatically by episode three. Partners in Crime has held up a bit better, but is still lagging about 1.5 million viewers behind New Tricks. In fact, the only thing that beats New Tricks are the UK’s soaps and factual entertainment juggernaut The Great British Bake Off. Critics generally regard New Tricks as middle of the road. But its popularity with audiences is largely down to the fact that its cast is made up of actors who are national treasures. 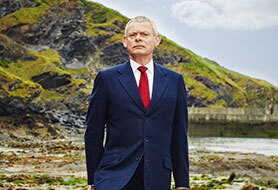 Although some of them have come and gone over the show’s 12 seasons, there is a warmth and familiarity to the series that recalls other favourites like Last of the Summer Wine, Minder and Birds of a Feather. Interestingly the BBC decided earlier this year that the current run will be the last season of New Tricks. Possibly it did this because the audience is older than it would like. Or maybe it decided that, as a public broadcaster, it is duty-bound to try something new. Either way, it will soon kill off one of its best-performing shows – something that would never happen in the US TV market. Ironically, the new season has actually had some good reviews, with The Times calling it “lean and pacy” and The Daily Telegraph admiring its humour, pace and suspense. 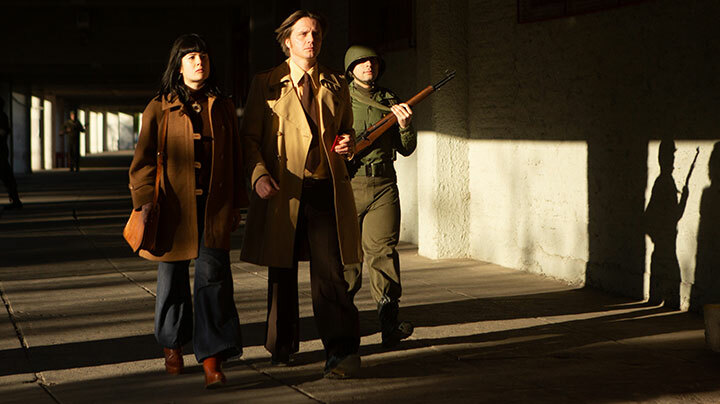 Meanwhile, AMC’s ad agency epic Mad Men has inspired a number of other series set again recent period backdrops, with notable examples including Aquarius, The Americans and Pan Am. One that is coming to a close this week is The Astronaut Wives Club, an ABC series based on the book by Lily Koppel. Set in the 1960s, the story focuses on a group of women whose lives are transformed once their spouses start launching off into outer space. It’s not clear if The Astronauts Wives Club was ever conceived as a returning series, but the official line over the last few months has been that it is a self-enclosed limited series. This is probably the right decision given the lukewarm response from critics and its recent decline in ratings. 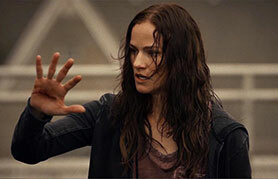 Having set off on its journey with 5.5 million viewers, the penultimate episode dipped to a season low of 3.2 million. 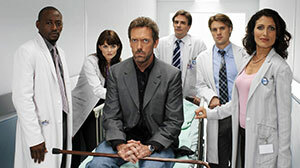 The final episode aired last night but is unlikely to have done anything to change the show’s fortunes. Having said this, creator Stephanie Savage hasn’t ruled out the idea of other series that focus on female characters against the backdrop of a key historical event or era. So possibly we are seeing the genesis of another anthology series. Turkey is Country of Honour at Mipcom 2015. So you’re likely to see a lot of stories about Turkish drama over the next few months as part of the PR activity around that event. One show you’ll hear a lot about is Ezel, a crime drama that was a ratings hit at home and has since been sold to various territories around the world by distributor Eccho Rights. 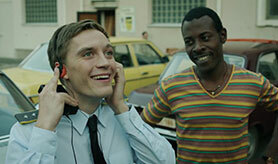 This week Eccho has further enhanced Ezel’s reputation with a raft of sales to broadcasters in Latin America. Unitel in Bolivia, TV Accion in Paraguay, Latina in Peru and Caracol in Colombia will all air the series, which is produced by leading Turkish production company Ay Yapim. Eccho, which worked with worked Miami’s Somos Distribution on the deals, claims Ezel has now been sold to every country in Latin America. Fear the Walking Dead (FTWD), the companion series to AMC megahit The Walking Dead, debuts this Sunday, August 23. Where possible, AMC wants FTWD to air on its own international channel AMC Global (in order to link the show brand with the channel brand). But where that isn’t possible it is doing licensing deals with third parties, via distributor Entertainment One. This week, it was announced that FTWD will debut in Germany and Austria exclusively on Amazon Prime Instant Video – a day after the US broadcast. Amazon also picked up second-window rights for the show in the UK, where the show will debut on AMC Global. This time next week, we’ll be able to explore whether the spin-off has managed to benefit from the buzz around its parent show. In TV, execs mostly talk about the relative merits of miniseries, limited series and returning series. But there are also times when one-off dramas can do a good job for networks. UK public channel BBC2, for example, has been airing a run of 90-minute dramas with reasonable levels of success. After The Eichmann Show and Marvellous, the most recent example was The Scandalous Lady W, a racy period drama set in the late 18th Century. With Natalie Dormer (Game of Thrones) attracting plenty of positive critical reviews in the lead role, the drama attracted ratings of 2.5 million viewers at 21.00, almost double the slot average of 1.3 million. Interestingly, the show, like New Tricks, was produced by Wall to Wall, which will be celebrating the fact that it has delivered ratings success at both the populist and niche ends of the BBC drama spectrum. Spearheaded by Ottoman Empire-set shows such as Magnificent Century, Turkish drama is enjoying something of a renaissance. Turkish drama wrapped 2014 with an estimated US$200m worth of global sales – its best figures ever, according to Izzet Pinto, founder and president of Global Agency, one of the country’s leading content distributors. Sales have risen from US$150m in 2013, while forecasts for next year are as high as $240-250m. The country has been doubling its drama exports annually over the past five years, and 2014 saw Turkish drama take on Latin America, with sales to the region now rivalling stronger export markets such as the Middle East. For Global Agency, at least, it all started with a drama called 1001 Nights (Binbir Gece). Made by Turkish prodco TMC Film for Turkish net Kanal D, the show kickstarted the company’s growth and has now racked up sales to 56 countries worldwide and counting. The poster boy for Turkish drama globally, however, is historical Ottoman drama Magnificent Century, dubbed the ‘Turkish Tudors.’ The TIMS Productions series, originally scripted by Meral Okay, ran to a fourth season on Star TV in 2014. It has aired in almost 70 countries across the globe, turning international growth into a boom for Turkish drama, says Pinto. TIMS, founded in 2006 by Timur Savci, was originally set up to plug a gap in the market for local youth-skewing series. Selin Arat, its director of international operations, says Savci is now taking a break “to step back and look at the market and see what he can do next that would hopefully surpass Magnificent Century.” The company is currently working on sequel Ottoman Empire drama Kösem Sultan, due in fall 2015. Fredrik af Malmborg, MD and co-founder of Swedish distributor Eccho Rights, is another early champion of Turkish drama. With approximately one-and-a-half billion people watching dubbed drama in primetime around the world, and US Anglo-Saxon drama having lost some of its attractiveness, the field has opened up to others, and “the next hit could basically come from anywhere,” he argues. 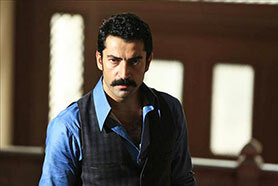 Eccho Rights’ breakthrough hit was Ezel from Ay Yapim. “We mentally put it in the cupboard as something with a very strong local flavour that you couldn’t sell abroad. But then I watched it,” says Malmborg. 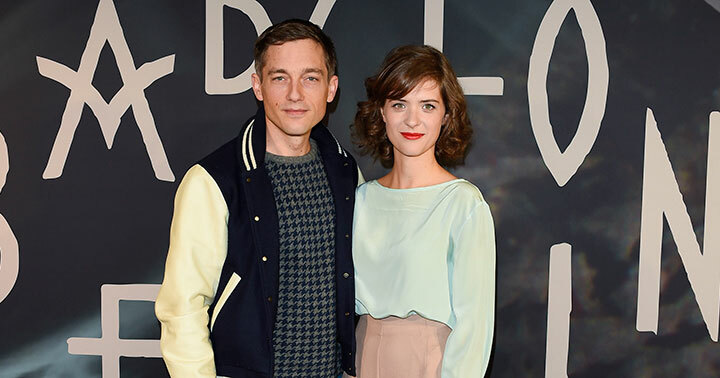 The drama went on to sell to more than 80 countries, including format rights to four or five different local adaptations, now in production. Ay Yapim suspense drama The End (Son) offered Western Europe its first taste of Turkish drama when it launched on SVT2 in 2013 as a daily drama in access primetime at 19.30, doubling its slot average. And script rights are doing brisk business in the West, with Eccho Rights generating format sales worth US$3m in the last year alone. Nine different versions of The End have either been optioned or are in production, including a pilot remake for Fox in the US. In addition to options for France, Germany, Italy, Spain, Holland, Mexico and India, a Russian version made by Russian World Studios is now on air. Now that Turkey is selling its dramas to Latin America, the country has come full circle from the days of importing telenovelas back in the 1980s. But the genre has left its mark. “A whole generation of new producers were inspired by them and started to do their own thing,” says Malmborg. Culture and language aside, there is a big difference in production values. Telenovelas are traditionally made on budgets of around US$50,000 per hour, but in Turkey this can very from between US$200,000 and US$600,000 per hour, Malmborg reveals. “Culturally, perhaps Turkey is probably better suited to delivering to a worldwide audience because it is somehow a mix of Europe and Asia, and not too far from our own culture,” he adds. Said to be the largest single producer of drama outside of North America, ahead of individual Latin American countries and most probably Bollywood, Turkey pumps out up to 90 dramas a year on seven free-to-air channels. Each channel airs two dramas back to back in primetime across the week, and nearly all of them are long-running series comprised of 90-minute episodes. This drama frenzy continues for up to 38 weeks a year between September and early summer, while summer months also include dramas – those being piloted for the following season. 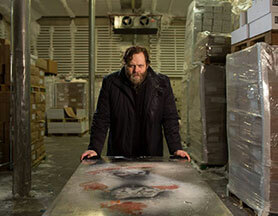 This industrial-scale drama output takes place in a highly competitive, fragmented television landscape, so dramas that fail to impress viewers are dropped within weeks. There’s a very tight relationship between viewers and the dramas’ ratings, with scripts shaped week by week depending on how audiences react. “With period drama you do need some pre-production, but with contemporary drama sometimes the directors get the scripts the day before shooting,” explains Arat. The rise in Turkish drama’s global popularity has inevitably boosted its bankability, for the productions themselves, the production companies and the sector as a whole as a target for potential takeovers by international players. “We’ve been working on a number of Turkish series and revenues have grown every year, starting with US$120,000 per episode. The last series we sold was for US$400,000 per episode,” says Malmborg. However, some are now questioning how sustainable Turkey’s largely self-sufficient drama model will be in the long term. While new markets like Latin America are joining the Turkish drama club, the cost of acquired Turkish drama is rising abroad, and local productions are becoming more attractive (and cost-effective) to regions such as Eastern Europe. Pinto himself says growth of drama exports is expected to level out in 2016. Turkey’s national audience measurement system has also been revamped. It now incorporates more rural viewing tastes, and this has steered the overall profile of the panels towards an appetite for more conservative family-skewing content, rather than the edgier family series with greater global appeal, argues Pinto. Annually, it’s only a few high-end Turkish dramas that really sell well abroad. Of 40 dramas in Global Agency’s catalogue, 10 are selling well and five very well, says Pinto. Popular newcomers include a drama on surrogate motherhood, Broken Pieces (Paramparca). Launched on Star TV in Decemer, it’s Endemol Turkey’s first locally scripted project, serving up a new take on the Turkish family drama. Global Agency is also selling script rights to selected projects, such as its recent deal with Sony for remake rights to TIMS’ crime drama Game of Silence for NBC. Public broadcaster TRT, which turned 50 this year, is underway with a revised strategy to broaden and renew its drama output, moving into areas that commercial broadcasters don’t do, says Mehmet Demirhan, deputy head of the television department. Demirhan is responsible for three divisions, including acquisitions for 15 TV channels, sales and international coproductions. TRT launches around seven new dramas every season, all of which premiere on flagship entertainment channel TRT1, and Demirhan has high hopes for a pair of new period dramas that attracted interest from 80 buyers across 60 countries when they were unveiled last autumn. Resurrection of Ertuğrul Gazi, which follows the father of Osman I, founder of the Ottoman Empire, launched on TRT1 in December, topping the television ratings among AB, educated high-income viewers. 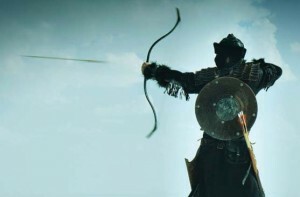 The show has been labelled the best breakthrough Turkish TV series of the 2014 season, with the local press comparing it to Game of Thrones. Filinta, a detective drama set during the Ottoman period, is “an unusual genre for Turkey,” says Demirhan. “We can call it an Ottoman Sherlock Holmes.” It premiered in late December on TRT1. However, TRT has other ambitions. 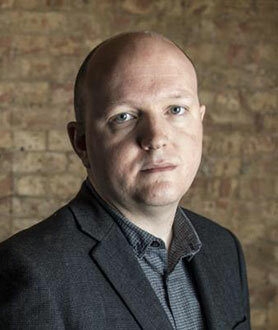 Demirhan says it now has a couple of (as yet undisclosed) coproduction projects it is hoping to move ahead with in 2015, and is currently in discussions with a UK broadcaster, which could pave the way for a copro between Turkey, the UK and Dubai.